A vacation to Maine means sampling delicious lobsters, visiting post medieval English towns, enjoying hiking, fun sailing tours along the bays, and relaxing by the beach such as in places like Ogunquit Maine. Acadia National Park is, without a doubt, one if the top attractions and one of the most interesting places to visit in Maine because of the unrivaled beautiful and amazing scenery. If you love nature and want to enjoy some fun activities, you can enjoy anything from hiking, picture taking, blueberry picking to tours along Acadia National Park with a knowledgeable guide. No matter what you do at Acadia Park, one place you wouldn’t want to miss, though, it is Otter Point (Otter Cliff) to get some of the most stunning coastline views! Portland is one of the biggest cities in Maine, yet it still retains a small town feel, very characteristic of New England cities. Portland is one of the touristiest places in Maine for sure, but a trip to Maine wouldn’t be complete without a visit to Portland. Portland is on my list of interesting places to visit in Maine because of the many lighthouses scattered along the city’s coastline such as Portland Head Light, located in Fort Williams Park. If you’re visiting Maine with the intention of exploring the lighthouses, Portland Head Light is one of the best places to do this because the light is now turned in the museum, and the area around offers stunning views of the bay. Apart from exploring the lighthouses in Portland, you can enjoy a ferry tour of the beautiful Casco Bay Islands. If you are leaf-peeping aficionado, the state of Maine is one of the best places to see fall foliage in New England. There are plenty of state parks offering the opportunity to relish the beautiful fall colors, and you can also enjoy leaf-peeping driving tours to take in the sights as well. Baxter State Park is one of the most popular spots to see the fall color change in northern Maine, hands down. However, two of my favorite spots to see the fall color change are Wolfe's Neck Woods State Park and Ferry Beach State Park because of their close proximity to Portland Maine. 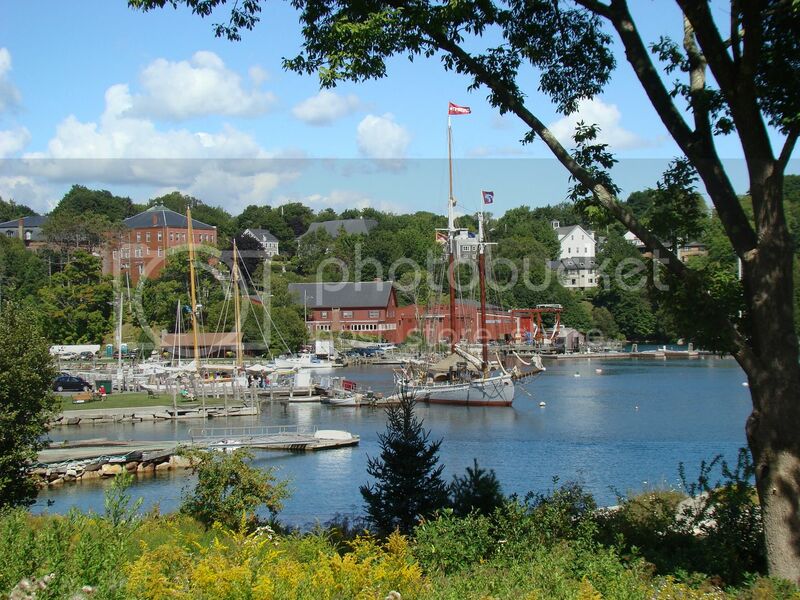 Rockport Harbor offers great views and many opportunities for a fun sailing trip around the bay. However, I added Rockport Harbor to my list of interesting places to visit in Maine because of Andre the Seal Statue. If, like me, you never got to meet Andre the Seal but are a fan of "Andre the movie", you can visit the memorial at Rockport Marine Park. Baxter State Park is another of the interesting places to visit in Maine because of the stunning views you can get from Mount Katahdin. If you enjoy hiking and are looking for fun climbs, Mount Katahdin has many trails that you can take to get to the peak and take in the views. Maine is probably one of the best places where you can explore the New England architecture. Maine’s smaller towns such as the town of Unity offer you the chance to appreciate the early colonial style architecture. The town boasts dairy farms, white clapboard houses and white-steeple buildings, typical of a 17th century English town.